The Law Firm of May & May, P.C. focuses on business owners and their businesses. Business owners have unique legal needs involving safeguarding their business interests and assets. Our clients can rest assured that our legal practice is centered on the needs of people who own their own businesses. Whether your business is just starting up or has been operating for a long time, our firm can provide you with the legal advice, expertise, and services you need. Our attorneys are experienced and understand the needs and concerns of business owners. 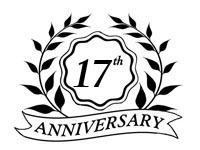 January 1, 2017, marked our seventeenth anniversary as May & May, P.C. Bob May was listed as a "Select Lawyer" in 2014, 2015 & 2016 by Susquehanna Style Magazine. Bob May was listed as a "Local Legal Leader" in 2015 & 2016 by Harrisburg Magazine.